You will now be logged into your My Account screen. Click on the Apply for Social Housing link. 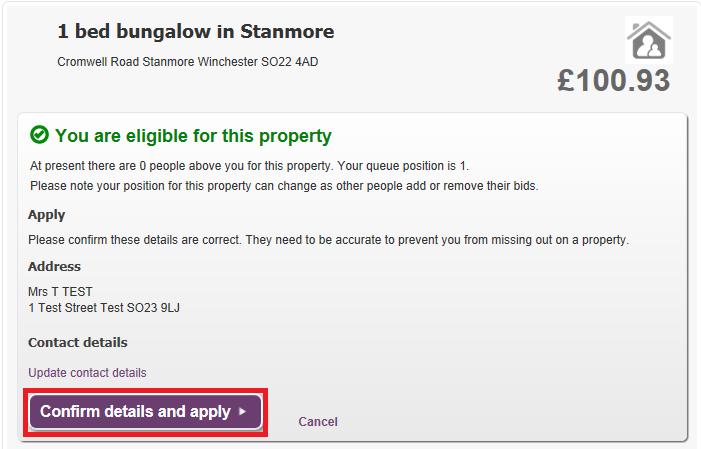 You can use the Refine Results filter to search for properties in the local authority area you are looking for a property. 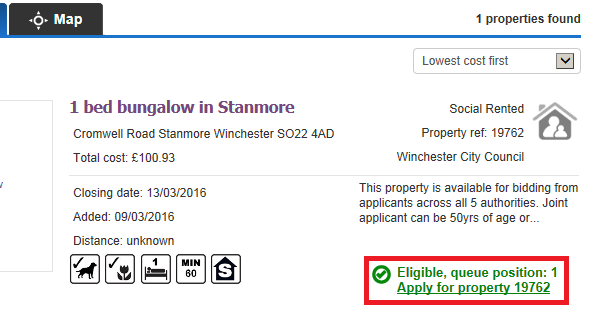 If you are eligible and meet the advert and preference criteria and would like to bid on this property, click on the 'apply for property' link. Confirm your contact details are correct and update them if needed and then click Confirm details and apply. Once you are registered on the system and have a login you will be able to log back in at any time to update an application if there are any changes (for example you have moved or you are now working or your household number has changed). 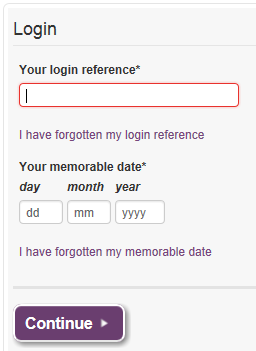 Click on the Login button on the top right of the screen and entering your login reference followed by the memorable date you set when you originally registered and then press Continue. You will now be logged into your My Account screen. Click on the View or update your Social Housing application form link. 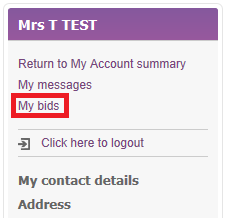 Complete any changes to the social housing form and on the final page, click 'Submit form'. Your update has now been submitted. When it has been assessed you may be asked to provide further information. If there is a change to your assessment this will be confirmed in writing. To complete an annual renewal you will first need to be logged in. If you are not already logged in you can do so by clicking on the Login button on the top right of the screen and entering your login reference followed by the memorable date you set when you originally registered and then click Continue. Once logged in you will need to navigate to the My Account page, from here it will tell you ‘Your Social Housing application is due for renewal’. Click 'Update my details'. Alternatively, it will tell you in ‘My to do list’ that there is 1 item on your to do list. Click ‘Renew your social housing application’ to complete your renewal. Even if there are no changes in your circumstances you will still need to complete an annual renewal by checking each page on the form. 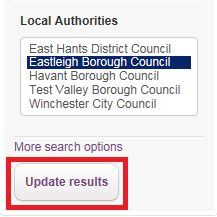 Once you have checked each page and updated any changes you will need to click ‘Next Page’. 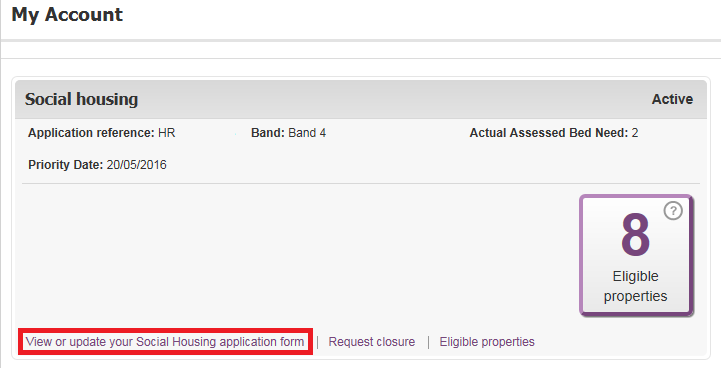 Complete the social housing form and on the final page, click ‘Submit Form’. It will confirm your application has been submitted. We will only write to you if there has been a change in your application assessment.